Neptune Park, St. Simons Island playground, mini-golf, swimming pool, picnic area, St. Simons Lighthouse Museum, fishing pier, and Pier Village of Saint Simons Island, Georgia. An oceanfront public park that features picnic tables under stately oak trees, a children's playground, a miniature golf course, pool area, lots of benches for relaxing by the sea, a fishing pier, and a bandstand where events are held throughout the year. Located just beside the Pier Village, Neptune Park offers a wonderful place for evening strolls along the ocean, with lighted pathways and plenty of things to do and see. Families typically end up strolling through the Neptune Park area after an evening dinner or shopping in the Pier Village, taking advantage of the playground and many activities around this oceanfront setting. 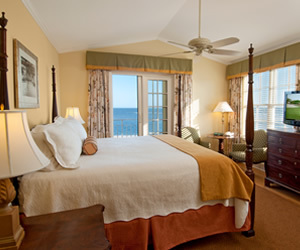 Warm ocean breezes and ships passing in the night make for a romantic encounter, with nearby Jekyll Island just across the way. Cast a fishing line over the St. Simons Pier or take a stroll on it and watch all the other local fishermen busy with their crab traps looking for a quick catch. 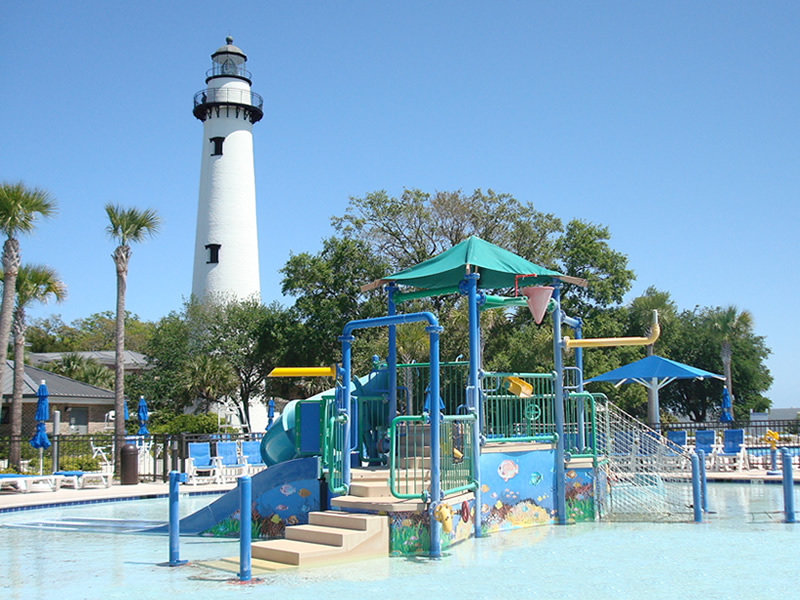 No visit to St. Simons Island is complete with a stop at Neptune Park, the island's centerpiece for fun and family gatherings. A popular spot for evening strolls after dinner, just follow the lighted pathways which will take you alongside the ocean and meandering throughout the park area. 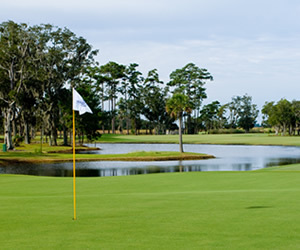 Enjoy a picnic under the hundreds-year old Southern Oak trees, play a round or two of mini-golf, visit the St. Simons Lighthouse Museum, take a swim in the pool (closes at dusk), or just relax on a park bench and watch the folks as they pass by. 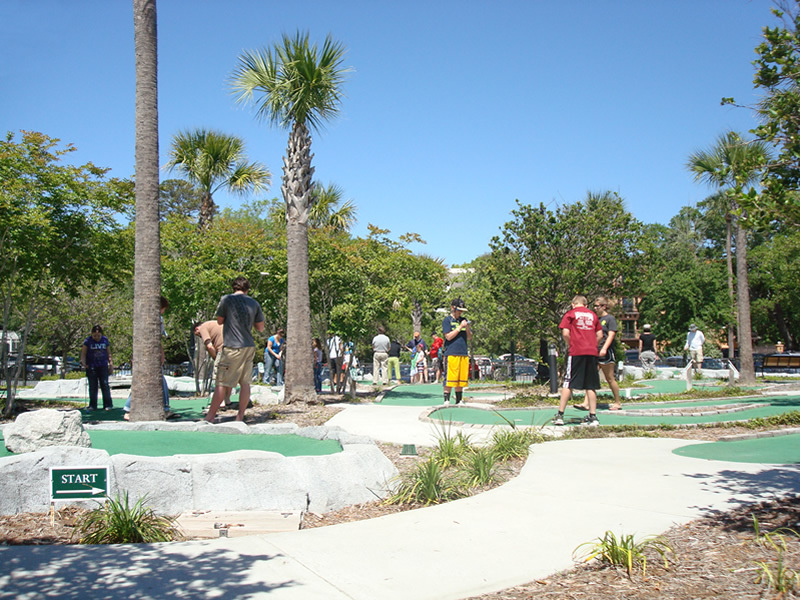 An 18-hole mini-golf course is just one of the many activities you'll find in Neptune Park. 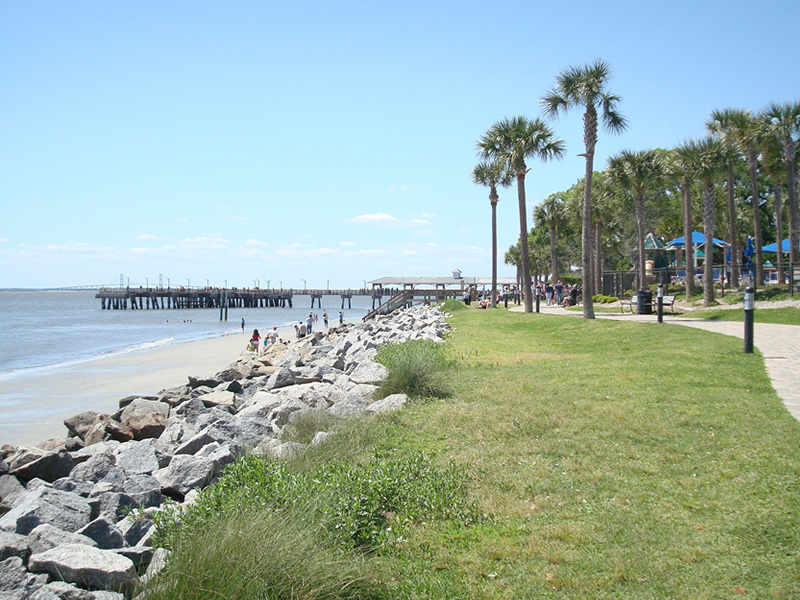 Neptune Park encompasses an oceanfront pathway that leads to St. Simons Fishing Pier and Pier Village areas. 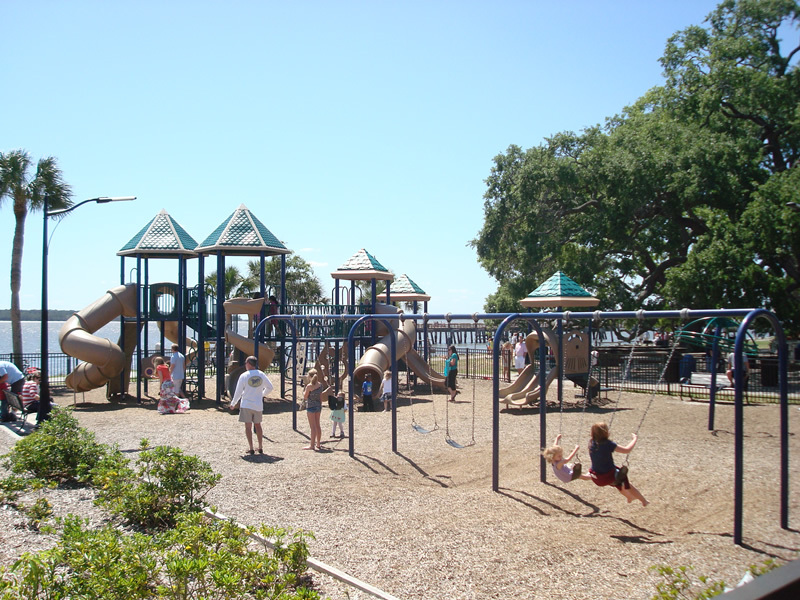 The playground at Neptune Park is typically brimming with activity and children playing in warmer months. The pool at Neptune Park (entrance fee required) features a play area for the kids. 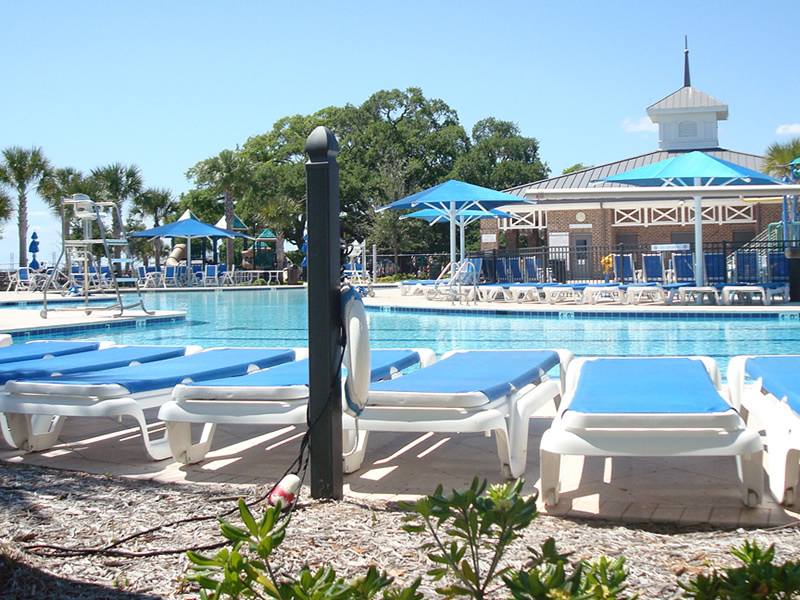 The pool at Neptune Park (entrance fee required) also has an adult area for relaxing and perhaps a bit of peace and quiet.